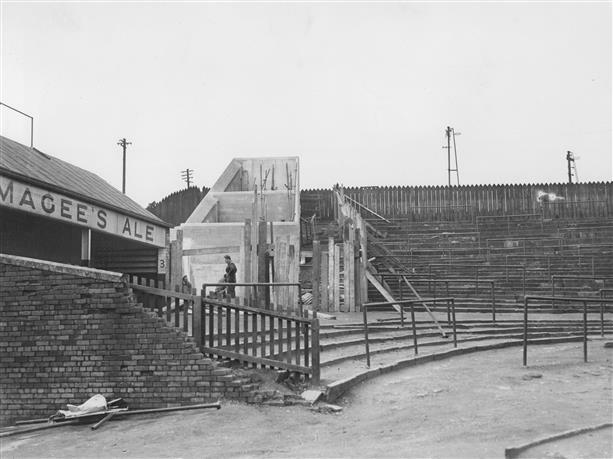 Today is the seventieth anniversary of a disaster at Bolton Wanderers' home ground Burnden Park which claimed the lives of thirty-three football fans. When you read what happened at that FA Cup quarter-final in 1946, it's hard not to think of the Hillsborough disaster in 1989: policing and communication failures, a build up of pressure outside the turnstiles, an exit gate opened to relieve the crush leading to a sudden influx onto an already overcrowded, and badly designed, terrace, people at the front unable to escape being asphyxiated and the press subsequently blaming the fans' behaviour for their deaths. But whereas Hillsborough has rightly been remembered every year for the last quarter of a century, the disaster at Burnden Park has been all but forgotten. A number of theories have been put forward for that: the death toll not seeming particularly high at the time given the military and civilian losses of the Second World War which had just ended, the fact that unlike the football disasters of the 80's (Bradford, Heysel, Hillsborough) the game wasn't seen live on TV by millions of people at home, and the lack of a campaign to hold people to account for what happened, Whatever the reason, we should remember its victims today. If there had ever been a major sporting disaster at, say, Henley, Wimbledon or Royal Ascot, you can be sure that the press reaction would have been entirely different. Football is the entertainment of the masses, and our rulers do not like large gatherings of ordinary people, even if it is for something as innocent as a game. Depicting such a mass of humanity as something to be feared is a deliberate attempt to denormalise these occasions - hence the hostile press coverage. Yes, we should remember the victims, especially as they didn't get fair play even in death.